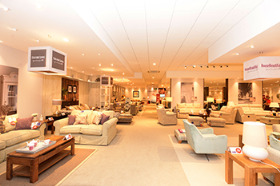 Furniture retailer reports declines in footfall and customer orders hit sales in the second half. The upholstered furniture retailer said it believes the trend is market wide and “in line with industry indicators”, which it attributes to uncertainty regarding the general election and macro economic environment. DFS said: “As stated previously, the upholstery market does see short-term demand fluctuations from time to time, within an overall historical trend of long-term growth. “Driven by these short-term revenue effects, we therefore, now anticipate EBITDA over the full year to be lower than market expectations for the current year, and in the range of £82m-£87m. “Notwithstanding this, we have maintained our investment in the business and we are confident that we will outperform the market over the longer term, driven by our scale, business model and proven growth levers. A further trading update is due on August 10, 2017, following the completion of the Group’s financial year.